I was thinking kayak looked kind of like beach blanket? Am I off my game? Peek. They have their own store and sell at Nordstrom. Lovely and soft. And they go up to bigger kid sizes as well. 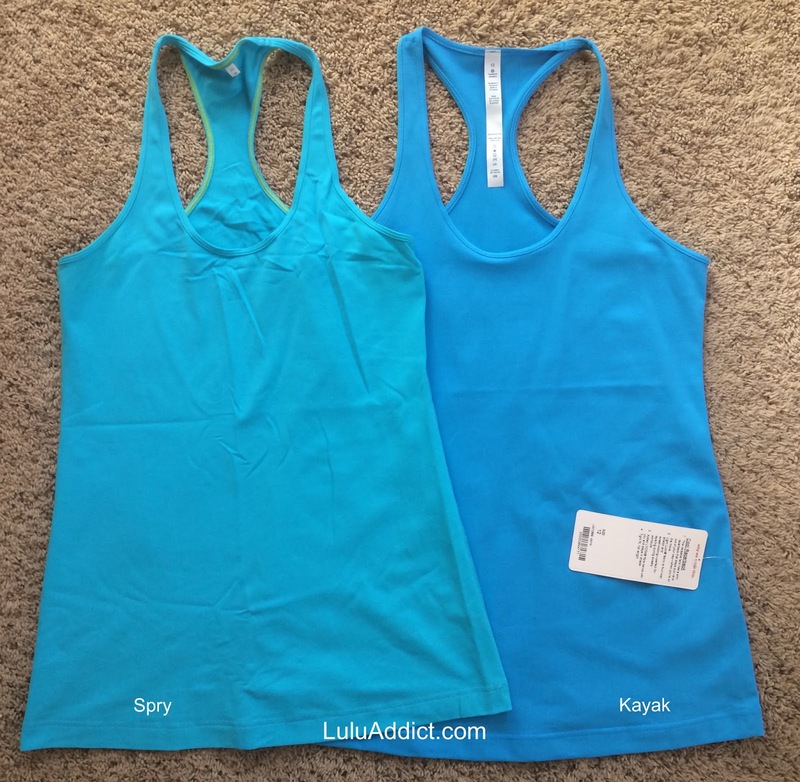 yeah.... spry blue is the color i have and i was thinking it looked exactly like kayak.... its close for sure..... too close to buy the kayak for sure.... unless another style for me anyhow since i have the spry in the crb. Castleware- organic clothing made in California. Wonderful velour Jammie's!! Winter water factory- organic clothing made in New York I think. Hanna anderssen is another Great brand that makes soft clothing. My go to favorites for my little one. LLA: I am the reader who asked for the comparison. THANK YOU SO MUCH!!!! You are THE best. Actually, based on this comparison, I am going to try the Kayak. It's a pretty blue. I think you mentioned it's also nice and thick. Have a lovely Thanksgiving. I am certainly grateful for all that you do. Thanks all re baby clothes!! Will check them out. Yup, that Salute the Sun tank is the same one as Ivivva's "Sun Sprinter" that came out during the summer. I think that there are several items from Lulu (like the new down pullover which is very similar to an Ivivva one from 2 winters ago) that are copying old Ivivva styles. Kind of lame, really. @ anon 5:08 pm - you're welcome! I was curious to see how the two compared, too. @ anon 7:59 pm - Interesting that lulu is bringing over some Ivivva designs. I tend to like a lot of the jackets they come up with. It's interesting that Lulu is now "stealing" some from Ivivva when before it was exclusively the reverse. I have quite a few KEEP UR COOL tanks, which are dupes for the CRB. I have 2 of these tanks in prints, but the pattern KUC can be a bit childish and really poly. However, the solids are great. I actually prefer the shorter length and like the modest neckline just fine. I recently bought the Heathered Pinkelicious Keep Ur Cool and found it to be soft and opaque, almost like Rulu. Another recent purchase of mine is the Feelin' Toasty Wrap, which is priced at $78; its style is somewhat comparable to the $138 Peace of Mind Wrap. I haven't yet taken the tags off, but the FEELIN' TOASTY is a nice sweater. I like the knit pattern and the back is DARLING, though the front is a little drippy on my frame which is making me hesitate. FYI: I sized down to a 12 since it's a loose style. anon for baby clothes: tea collection, mini-boden, peek kids, tucker and tate. Agreed! It's much closer to beach blanket than to spry. The blues I have go: Baroque Blue, Beach Blanket, Kayak, Spry. In terms of dark/cobalt blue to almost neon. That's just my crb's. If I get out all my blues in all items I could get a pretty rockin comparison. What's the fabric content of the Kayak CRB? I'd blind-ordered the Raspberry Glo last week and marched it straight back to the store when I opened it and it felt like it was made of the same material as those shower exfoliating gloves. It's made of polyester instead of nylon -- boo! Love the color of the Kayak but assuming it might also be polyester scratch-fest! @ anon 1:54 pm - As soon as I get a piece of Berry Rumble I will compare it to Bumble Berry. I'm curious to see how those two compare, also.